You don’t have a user name? 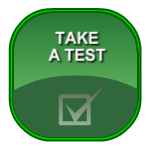 In Test bank are 2377 tests, which you can use in your lessons! eTest.lt is a system of test creation and execution intended for teachers (lecturers) and pupils (students) of educational institutions. to make pupils (students) interested in the subject taught using contemporary technologies. The main purpose of the system is to facilitate the work of teachers (lecturers). Using this system each teacher (lecturer) can independently create tests of the subject taught for inspection of pupils’ (students’) knowledge. Thanks to the system teachers (lecturers) do not need to inspect the tests carried out since this is automatically done by the system immediately after the test completion. Besides, a teacher (lecturer) can observe the process of test implementation in real time: they can see how many questions a pupil (student) answered, what questions he answered, how he answered them and how many points he got. A possibility of test exchange is implemented in the system. Teachers (lecturers) of all educational institutions may allow other teachers (lecturers) who use the system to use their tests. In such a way time for test creation is saved. Each registered teacher (lecturer) may use the Test Bank (currently 2377 tests available), change the tests and adapt them according to their needs. The Test Bank is constantly supplemented. to insert video from YouTube. certificate for each teacher who created the test and made it “public”. Creating the eTest.lt System we constantly collaborate with educational institutions. Since the majority of teachers (lecturers) do not have much experience using a computer, we tried to create as simple and intuitive system structure as possible. Each element contains a detailed description of its functions. Since the system operates in our server, it is not necessary to install or configure it in computers of your school (institution). In order to use the system only a computer connected to Internet is necessary. There are no special requirements for computers and software. Try eTest.lt System for free. After registering your school (educational institution) in the system you and other teachers (lecturers) of your school (institution) will be able to use all possibilities of the system for 30 days without any obligations. If you like eTest.lt System, you will be able to continue using it. The price of our services for one school (educational institution) is EUR 150 for one year. Payment by money transference. More. There is also a possibility for a teacher to use eTest.lt system individually and independently of school. Service fee: 6,00 Eur/month. More. Students who wish individually and independent to carry out the tests that are in the Test Bank (public tests) can use our system too. Service fee: 4,5 Lt/month. More. Our purpose is to create the best system of test creation and testing. Therefore we are kindly waiting for your feedback about operation of the system and ideas how to improve it. We have no doubts that you and other teachers (lecturers) of your school (institution) will positively assess eTest.lt System. We wish you good using!